The Peruvian architect Diego Delgrado-Elias, graduated from the Ecole Especiale d’Architecture of Paris, is the author of the jewellery that tell his profession. 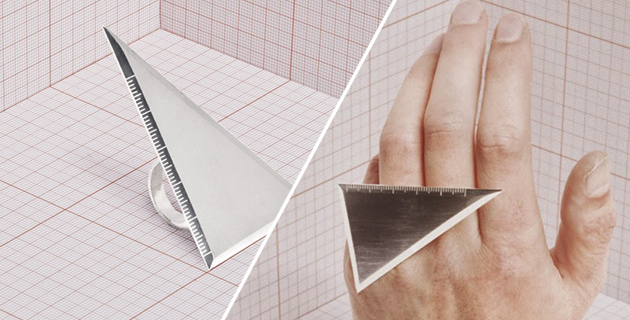 Squares, protractors and levels in brushed silver are miniaturized and mounted on wearable rings. The daily routine of an architect is the inspiration that is transformed into a sketch, then a 3D model and supplied to Bermuda, a French company that is engaged in production and finishing.